This interview is from issue #4 of Russian furry magazine HUGS. Pillgrim: Okay, I think we are ready to go. 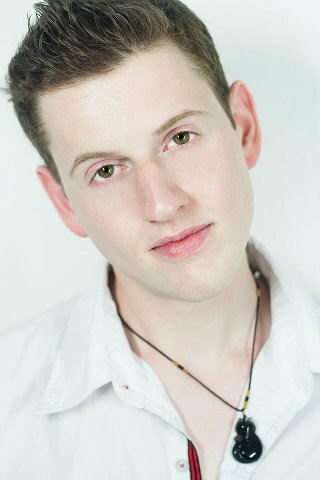 First of all, I would like to thank you for your decision to give an interview for our magazine - it is very awesome! So, I've met lots of singing dogs and can say I like howling myself, because I am a wolf you know, but what makes you NIIC, the singing dog? Please, tell us your story - when, how and what for you've discovered furry fandom and a dog in you. NIIC: Well, I discovered the fandom back in February 2013. It began as a research project of sorts - I had recently graduated from The University of the Arts and loved working on unconventional music projects for different audiences (before NIIC, I was working on a puppet music episode series for college kids working at Starbucks, with a similar crude but charming vibe to BBC's Mongrels). I was given advice by a music professor of mine to get my feet wet in one of the East Coast's underground music scenes, specifically the emerging Nerdcore scene. But after getting a bit sidetracked and with an accidental click on the internet, I stumbled upon the world of furry animal avatars! But I suppose it was only an accidental click if we don't believe Fate played a part in all this. I had written a couple of short fantasy musicals while I was in college, so I was already getting a thrill out of constructing larger-than-life characters. But a whole subculture where its members re-invented themselves through humanoid animal characters? I was instantly intrigued by what new world I had stepped into! So I gave up the singing-cockroach puppet show and invented a new character: a dog that longed to be a pop singer like Britney Spears or Justin Timberlake. Aside from this basic foundation, much of NIIC's specifics - like his attitude, what themes he sung about, his crazy-high notes - were decided on the fly as I continued to learn more about the fandom and I met a lot of different people at conventions & in my area. Over time, I discovered what my audience might be interested in hearing, and what I could contribute to this great underground of multi-media! Plus, there's nothing that's more wonderfully adorable in this world than when a dog in real life tries to sing! Pillgrim: Wonderful! So you are like that husky dog from YouTube, if I remember correctly her name was Mishka and she was good at singing. If I understand you right, your decision to become a part of this fandom was quite spontaneous? Let's talk about the species you have chosen as your fursona. You're a dog, a green one. Please, don't think I'm against this color - I love it with the bottom of my heart, but still it is quite unusual color for your fur. Tell us, why dog, do you have any particular breed or not, and why you are a green dog. But yes, NIIC is a green dog (a Japanese-style Akita if we're getting technical). The green was decided on a whim when I was first designing the character with the artist Casparr. I'm not quite sure what compelled us to make him green - I'm a huge fan of Gregory Macguire's Wicked series and the Wicked Witch of the West is one of my all-time favorites - but I was sure the dog needed a supernatural color of fur. NIIC was going to not just be a visual character, but one with a style and a voice as well. A complete package - and a character with a larger-than-life quality needs a larger-than-life color! Pillgrim: Heh, I like the way you think NIIC. But one question is still unanswered - why you've chosen the dog or maybe it is a dog, who has chosen you? NIIC: Because I love dogs! I've wanted a dog ever since I can remember, and yet I grew up in a house with cats. I never had a pet dog... so I made one! Pillgrim: Very interesting explanation. So, basically, now you have yourself as your own pet. It should be an awkward feeling, but I found it amusing. Okay, my fellow and green canine relative, the next question will be quite interesting and I guess many of your listeners want to hear the answer for it – which characteristics from your real self you've put into the NIIC and which of them only NIIC has? And, me personally, would like to hear how different Kyle and Nick are or maybe they complete each other and you can say, that you are one entity? NIIC: There are very few things in this world that are original, and NIIC is no exception. We are both energetic and dynamic people. Our hearts beat blood to our heads as fast as his music, and it makes us both very eccentric and enthusiastic about practically everything. We are very bouncy and are always dancing to the songs rattling around in our heads. If you don't believe me, ask anyone who has hung out with me - I will literally walk down the street with a beat in how I walk, and I almost always snap my fingers to some non-existent rhythm that only I seem to hear. If someone adores us we are thrilled with joy; if someone betrays us we are overcome with lament. I suppose it would help if I laid off the coffee a little, but if the Energizer Bunny has a battery inside him, then me and NIIC have a power plant. Pillgrim: Woah, I like your energy already! Let's talk about your way of expression – music. When have you started to sing or create music? How did your music helped you in creation of NIIC? What emotions you try to share with your audience? NIIC: Despite attending music school and all that jazz (pun intended), my musical background is far from educated. I grew up on the mixed tapes in my mom's minivan - which were basically Elton John, Queen, and Donna Summer. I convinced my parents to get me a Britney Spears CD when I was 7, and all throughout my childhood I would sing out loud and pretend I was a popstar. High school and the peer pressures followed and I stopped singing and listening to female pop singers so I "wouldn't look gay", and then I played lead guitar in an emo band and played in various battle-of-the-bands across New Jersey. After high school I started following my gut and not the crowd, so I went to UArts to write pop music and musical theater showtunes. When I graduated UArts, I decided to finally give in to the 7-year-old in me, follow my roots, and pretend to be Britney Spears at my present age of 23, haha! With or without the dog, my music has always been upbeat and intense. Even my sad songs pack a punch in them and have a feel-good vibe. It's annoying - I can't get away from it and I've stopped trying to fix it, haha! The emotions I try to convey with everyone come from the feelings and desires that we all share. No matter the gender, sexuality, religion, furry-fandom or common-folk, we all have a void inside of us that we seek desperately to fill. Most of the time it's love, which is by no means a bad thing. At our most fundamental level, we all desire to find love a sense of belonging, and I enjoy invoking emotions in my music that reflect that. Pillgrim: I see. My next question will be very hard to answer and, personally, I don't think anyone yet has an answer for it. But let's try, shall we?! There is furry art, furry novels and furry poetry, but what about the music? Music genres are so different, but still, do you think furry music exists? If yes, please describe it. NIIC: Well most musicians that identify with the fandom still compose and perform in pre-existing genres - like rock, EDM, pop, rap, and whatnot. To say that a song or a style of music is "furry" is rather ambiguous. Someone may be a furry musician simply because they play the piano in a wolf suit, even though they're playing Chopin's Prelude in C Minor. But someone might also be a furry musician if they write songs about entering a club with a bunch of people who aren't actually people, but animals dancing and partying on two legs. But the truth is, music in the fandom comes in a much smaller amount than the other art mediums, simply because the fandom is dominated by visual art. Which makes sense - we rely on the visual aesthetics the most in order to bring our anthropomorphic characters to light. 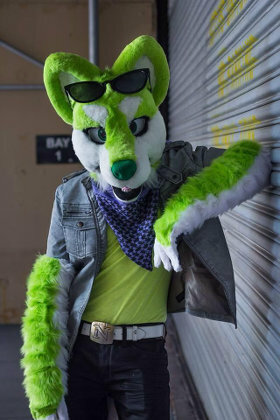 For me, personally, if we can properly define music as being "furry music", I believe that kind of music must contain lyrics and a story about anthropomorphic characters, or contain language that empathizes with the Furry community. An example might be NIIC's own songs. The songs where he sings typical pop lyrics about love or partying and has no descriptions of furry characters - I probably wouldn't consider those songs to be furry. But his "Paws to the Walls" song, where he's directly talking about a club filled with furry characters - that I would consider to be a furry song. Pillgrim: Well said. I, personally, not the big listener of the furry musicians, so I would like to ask you this – which furry musicians, singers or composers, you can suggest to myself and our readers. Maybe there is someone in the fandom, who inspires or inspired you. NIIC: Of course! Well I started researching the fandom as soon as I began a plan for The Singing Dog. The first musician affiliated with the fandom that I ran into was Renard (owner of Lapfox Trax in which he composes music under various pseudonyms with their own music styles - Renard, Truxton, and NegaRen are my favorites!). Renard is definitely electronica-heavy and a blast to dance to. I would also recommend Colson (also performs music under the band name Polite Fiction). He's got a Californian mellowness to his rock songs, and they are all produced very well. Also, of course, Fox Amoore composes excellent instrument pieces and I highly recommend listening to him as well! Pillgrim: I guess me and our readers will definitely check those guys after reading this interview. By the way, Fox Amoore will be a guest of honor at the hugest Russian Furry Convention – Rusfurrence this year. Earlier, you have mentioned that Furry fandom is dominated by visual art and I couldn't agree with you more – tell us NIIC, which artists do you like more, which type of art you like more – cartoon or realistic, maybe you have your favorite writers, if yes, share with us. NIIC: That's so awesome Fox Amoore will be going to Rusfurrence! I'm sure he'll put on one hell of a show! Pillgrim: What do you think about fursuits? Have you ever thought about performing in fursuit, cause I think it would be something quite unusual and interesting to see someone singing in fursuit. NIIC: I think fursuits are the most fun to have, by far. 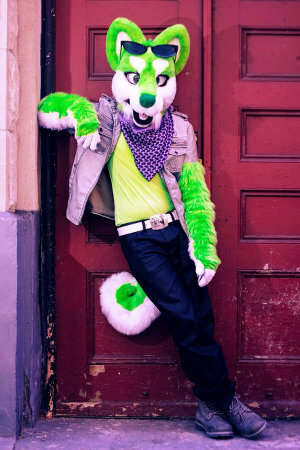 NIIC the Singing Dog already has a costume in production, as I will be performing as a literal singing dog haha. Pillgrim: Amazing! I would love to see such performance live! I guess that wolf's question bag is empty and I want to thank you for being such a good dog with great attitude and of course for your answers. If you want to say something to our readers it would be really awesome. NIIC: Well it is so great of you to pick my brain about NIIC! If i have any words of merit to those reading, it would be this: figure out what feels good, find it, and live it! "This interview is from the 4th issue of Russian furry magazine HUGS." How embarrassing for Wikifur there... probably should have linked here instead. WikiFur links to translations of those issues, and also provides the above link for those who want to go there. It's a better introduction for our mostly-English readers than dumping them straight into a Russian website.